Everyone will schedule some time to spend on watching YouTube which is the previous version of our livelihood. Now YouTube has become the daily routine of our activities to watch the video content. We consume millions of YouTube video watching for hours and hours. It can describe that YouTube’s impact on society. Now it has become the entertainment library containing the music, sports, cooking, education, films, fashion, technology, and politics, etc. Everything that one needs can obtain by surfing on YouTube. YouTube has upper hand on influencing the audiences to stick completely at its homepage. All the business brands are in the thought of implementing the advanced strategies to promote uniquely on YouTube that hits the attention of millions of users daily. For example, if we take the advertising brands like Amazon, Google and Nike football etc. are showing their unique branding exposure that is mostly influencing the audiences. These brands are engaging the audiences through the delivery of amazing video content. The brands can leverage their sales and branding through the promotion of YouTube. Coming to individuals, the Justin Bieber has launched his great career through YouTube. Whereas, the financial status of the creators can be improved through the YouTube Partnering Program. The world’s target to expose oneself to the public is YouTube. Here the video content creation has generated a lot of fun through the promotion of Amazon Alexa. This video got 43,360,263+ views within 3 weeks of time. Justin Bieber has blasted the entire music world through “Justin Bieber – Sorry (PURPOSE: The Movement)” which has obtained 2,889,356,201+ views on YouTube. It has gone viral on all other Social Media platforms that have turned the millions of fans for the Bieber throughout the world. The entertainment from traditional television is completely pulled by the online strategy. In this YouTube is one of the viral platforms to entertain the world by providing the video content of one’s native language. The user-generated video content plays a role in acquiring the attention of the millions of audiences. The events like VidCon are bringing the fans and YouTube creators together. The famous figures of music like Katy Perry, Bruno Mars, Taylor Swift, and Adel are entertaining the audiences through their albums. Pew Die Pie who is starring on YouTube throughout the world and his fabulous creation of entertaining the fans have made him as the most seeking YouTube celebrity in the world. Most of the television channels on making their image by launching their channels on YouTube. The Fashion and Beauty channels on YouTube are completely mesmerizing the audiences through which one can make their style of dressing and makeup. The Travel channels will generate enthusiasm in the audiences to watch the full length of videos as they are captured by traveling throughout the world. The jokes, experiences, comments, and challenges can be delivered to the audiences with the help of most talented creators. YouTube has become the base for the politics to make the restless campaigns that get the attention of the voters. The presidential and parliamentary elections are completely relied on it by giving interviews or broadcasting live videos that let the people find the ongoing news in it. It can reveal the personal profiles of each politician that helps to build or destroy the political image. Moreover, the debates of opposition parties and the current ruling parties are disclosed lively to the audiences. The satirical political videos are gaining the high standards of reaching the public. Video Sharing Platform YouTube allows users to share their valuable videos on Social Media. YouTube videos offer access to a new dynamic option for efficient and learning and teaching non-traditional patterns. YouTube has become such a powerful tool for education. Students are actively engaged in online communities, and there is no doubt about it. YouTube videos, learning, mobile learning is rapidly growing nowadays. Experiential learning is the fascinating thing about mobile learning. All teachers can create and give different assignments to the students to get help from YouTube videos.Nowadays many instructional videos appearing on YouTube to learn any technology or how to use any technology. We can say that YouTube videos were gradually occupying the teacher’s position. 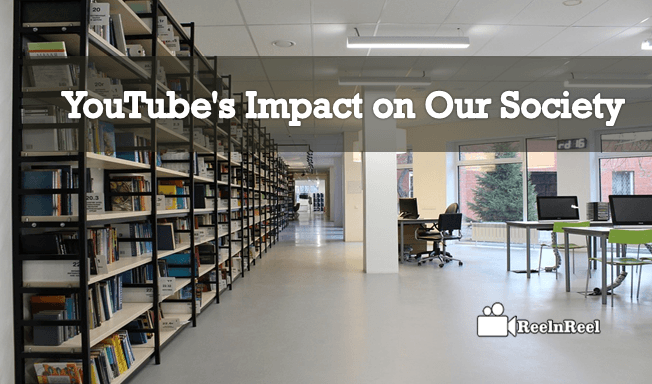 YouTube video is providing best tools to the students and teachers inside and outside of classrooms. Some social videos are providing proper education on environmental issues to the students like S*x Education to give the positive impact on next generation. You can learn many things from the YouTube videos like Science and Technology, Tutorial videos, demonstration videos, and online crash course tutorials. At presents, students from any sector are learning 60% of technology from YouTube videos. Many Young generations don’t want to sit in the classroom, and they don’t want to sit in front of teachers. They just love to spend time on Online videos for better knowledge. YouTube has revolutionised education, entertainment and it also opens doors for individuals to discover, showcase and recognised by the entire world. YouTube has given a power to Travel the world with one click. YouTube opens doors for new talent discoveries. YouTube encourages the who are coming forward to expose in front of the World like Fashion Blogger, YouTube Vloggers, Musicians, Dancers, prominent speakers, Famous Artists, etc. At present people can upload any video on YouTube. Videos will get millions of views and that can change their life overnight. For example, if we consider the famous pop singer Justin Bieber, Bieber’s mother uploaded some videos of her son on YouTube. Unexpectedly the videos would see by Scooter Brune, the Music manager. At that time he got an opportunity to meet Usher, and his journey started from there. Now he becomes the pop icon of Music. YouTube offers million of audience, and YouTube does not guaranty ticket your talent. But it does increase the chance of improving your abilities, to fulfil your desires. People who have genuinely talented they get discovered on YouTube. YouTube provides an excellent way to broadcast your Videos to the World. It is easy to get feedback, and you can upload any news or give awareness surrounded by your society. Through YouTube, you can contact the other famous YouTubers easily. Fully immersed in the culture, so need to speak in English. YouTube Provides knowledge better than teachers. Gaining cultural knowledge can help with your communication and can learn Languages. A Forum to connect, inform and impress with your skills. Beneficial to the Business Owners to campaign their Products. Politicians get benefited through YouTube with positive promotions and help to recognize their party Globally. Charitable trusts or organizations make use the YouTube Nonprofits program for Fund Raising. People from any region, and culture they can post their work videos well known by their surrounding community and Global community. Some videos on YouTube sometimes be inappropriate without giving any warning signals. If the children saw such things, it will spoil the children career. Content can be 18+, and it is accessible by all ages. If your Children are using YouTube, it should probably need to put the parental block. Inrecent times Brand Safety Advertising is major concerned.Now YouTube is taking all measures. People can affect the other people by their Videos. If the content can be weak people can refer to them. Hundreds of hours Videos are uploaded to YouTube every minute. Over 300+ million visitors arrive on YouTube every day. Billions of hours videos watched on YouTube every month. More than 40 minutes of mobile viewing sessions least and growing more than 50% every year. You can navigate on YouTube with 76 languages and has launched local versions in 88 countries. An average of 20% people leave the videos after watching first 10 seconds of video. The number of videos watching time spent by people up by 60% year-over-year and the fastest growth seen from last two years. 5+ billion videos are viewed on YouTube every day. 8 out of 10, an average of 18-49 years old people watch YouTube for Videos. 6 out of 10 people use YouTube for broadcasting online Live videos. An average of 62% Male users and 38% of Female users Globally on YouTube. The teens are the major source on YouTube to watch the video content for hours. Everything from entertainment to business is generated by the YouTube. It is simply the open source video treasure where everyone can find everything.